Nestled in a quiet valley amongst the hills of mid-Wales, at the end of an un-signposted lane, is a farm. From the outside, it looks unremarkable. But this is no ordinary farm. Visit on a weekend, or sometimes Wednesday or Friday, and the sound of revving 450s and 250s will replace the gentle bleating of sheep. And the farmer you may spot wandering around the yard in an army-surplus waterproof jacket and a Dunlop baseball cap, marshaling this unlikely herd, is none other than the ten times GB Enduro Champion, Geriant Jones. 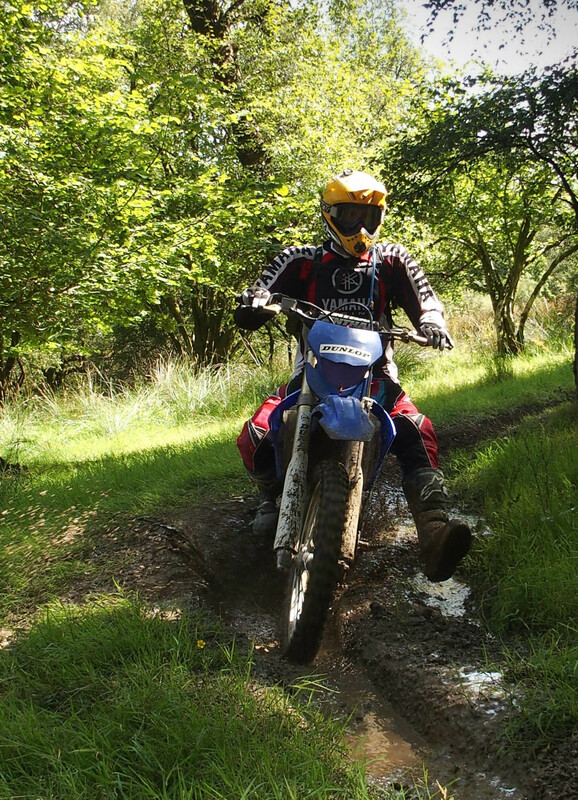 This is the ‘Yamaha Off-Road Experience’ – Yamaha’s off road school in Llanidloes. 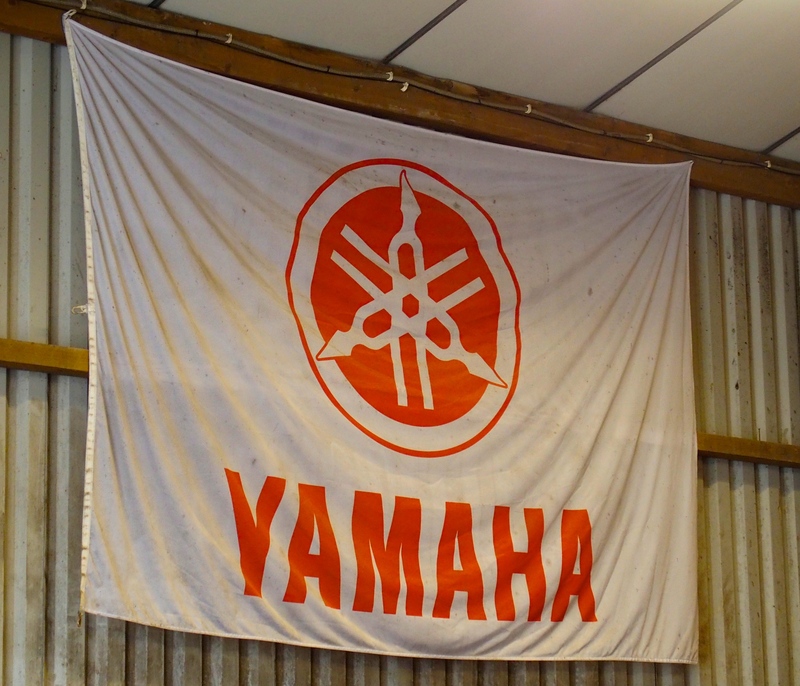 I first encountered the Yamaha Off Road Experience in July 2012. I had just bought a second-hand Tenere in advance of my South America trip, and my experience of riding in the dirt was zero. I therefore loaded up the bike with camping gear and rode to Wales to undertake the Tenere Experience – a course based on the XT660Z and the Super Tenere. Over the next two days, I would learn what riding an 200kg ‘adventure bike’ off the tarmac was all about, and more importantly come to understand what this superb machine is really capable off. Geraint’s son, Dylan, was our instructor. A winner of four ISDE gold medals, he has clearly inherited his dad’s talents on a bike. After a period of instruction in off-road techniques, the weekend was focused very much on riding – amongst the varied and sometimes technical terrain in the surrounding forestry blocks and hills, but also on longer rides on the back roads and green lanes of mid-Wales. On several occasions Dylan led us to section of single track or loose descents which I would never have thought the Tenere could handle. But every time she did. If you’re after a purely skills-orientated package on a larger bike, this probably isn’t for you. But if you want to get a feel for the complete spectrum of ‘adventure biking’, or test out the Tenere before buying one, or simply want to enjoy a very challenging weekend’s riding in some stunning landscapes, it’s just the ticket. Looking back with nearly two years and many thousands of kilometres of dirt-riding under my belt, I can honestly say that these two days were all I needed to set me up for this trip. Getting comfortable on the dirt is all about riding on the dirt as much as possible. The two days with Dylan was enough to teach me the basics, build my confidence and learn what the bike was capable off, which meant when I hit the gravel in Argentina I felt ready to go. What’s more, I did the weekend on my own bike – a bit advantage. Anyone can bring their own machine to one of the Tenere weekends, and it needn’t be a Yamaha. This not only let’s you get to know your own bike, but also makes the weekend very affordable. I returned a few weeks later to do some one-on-one maintenance training with John Begley. John is a former Army mechanic who served 22 years in Royal Electrical and Mechanical Engineers and now looks after the fleet of bikes. I am by no means mechanically minded, so John took me through all the basic maintenance and repairs skills I’d need on the road. Similarly to the off-road training, it has turned out to be just enough to get me going – armed with the basic skills, I’ve been able to learn on the job (with a PDF of the service manual on my iPad) as the trip has gone on. I am a great believer in the philosophy of ‘continuous training’. Whist my off-road skills – on the heavy Tenere, at least – have developed significantly during my time riding through the Andes, I know there is much more to learn: a few heavy falls, losing the back end in corners, have taught me that. 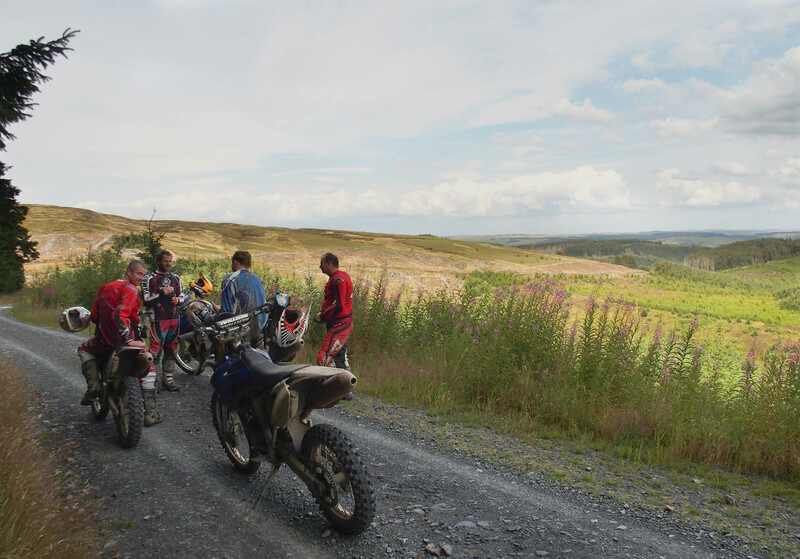 So when I returned to UK this summer for a visit, the Off Road Experience course – the flagship one-day course conducted on the 250s and 450s – was on top of my hit list. This course, along with the Off Road Experience Plus which I also did a week later, is where you really get down to the business of dirt riding. This time Geraint was in charge of the motley crew of riders – twelve in all – who had made the long drive to Llanidloes. They cater for all skill levels from complete novice, with several instructors shepherding the riders along the fire roads, rocky climbs, muddy forest trails and gnarly single track. With a choice of 250s or 450s, I opted for the smaller bike. The day is very much about riding rather than running through a series of skills and exercises. The periods of formal tuition are kept to a minimum, but with a good ratio of instructors to riders it is easy to stop at any time and seek coaching on the finer points of dirt riding. After so long riding a 240kg loaded Tenere, it was nothing short of a revelation to be gunning a 100kg dirt bike up steep gravel inclines, getting air over whoops and snaking along tight single track. Not only was it the most fun I’ve probably ever had on a moto, it was also invaluable in helping me develop my off-road skills, notably in cornering. A day wasn’t enough for me, despite spending half of it in the pouring Welsh rain. I returned a week later to do the more advanced ‘Plus’ day. This time there were only four of us with Dylan at the helm. On this course, more time is given to technical training, spending much of the morning working on a series of circuits incorporating various terrain and skills such as cornering, descending twisting single track and riding deep ruts. Some might think that training for off-road riding on big adventure bikes should be done on big adventure bikes – or if small, light bikes are going to be part of the syllabus they should be used at the beginning of the training. I disagree. There is not doubt that my off road skills on the dirt tracks of Peru on board my Tenere will be better now having trained on the 250. I subscribe to what could be called ‘non-linear’ training. A football team, for example, doesn’t train to win games simply by repeatedly playing 90 minutes over and over again: they break it down, practicing various set pieces, passing drills etc. After building my skills on a heavy bike, the 250 allowed me to refine techniques such as cornering with much more confidence afforded by a lightweight machine. Dropping a 250 in a loose corner is no big deal, but doing so on your heavily-loaded mount in the middle of the Andes could be a trip-ender. 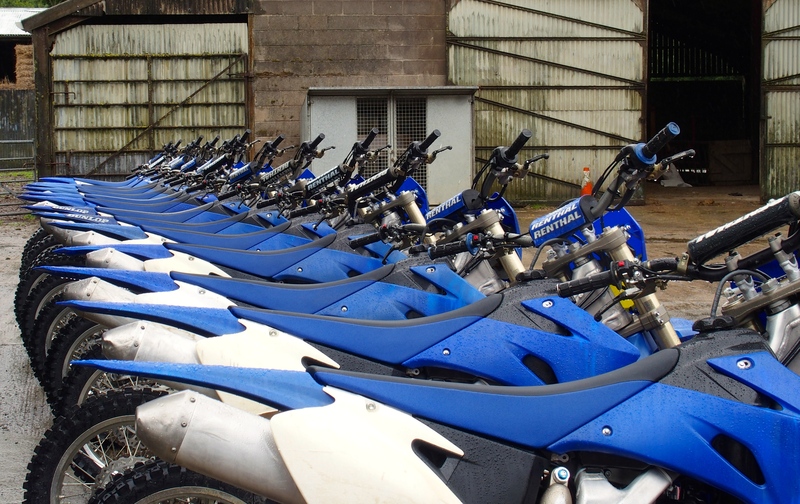 So with many off-road schools out there now, why the Yamaha Off Road Experience? Well, the fact that a ten times GB enduro champion and highly experienced coach runs the show would be enough to convince me alone. But what really sets it apart from others are the thousands of acres of moto-perfect terrain which they have access to. The Jones are well-respected local lads and as such are afford unrivalled access to the forestry and farm lands around their base. I very much doubt that any of the other schools come close in this regard. 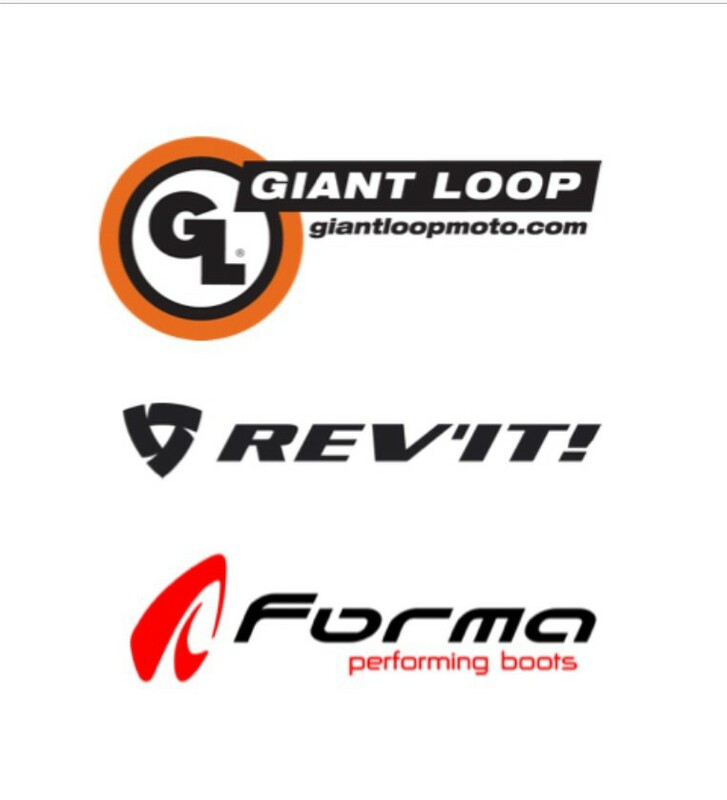 I couldn’t recommend it enough – whether you’re preparing for your own ‘Big Trip’ (remember, you can take you own machine on the Tenere Experience weekend) or simply want to get out with your mates and put a very broad smile on your face. Check out http://www.yamaha-offroad-experience.co.uk/index.htm for all the details, and also https://www.facebook.com/yamahaoffroadexperience where Dylan regularly posts photos and videos of all the action. Very well done summation of the Yamaha programs! There is an Aussie guy on the DR Riders forum who has produced a nice series of mainly Trials riding Videos. In all 6 or 8 of them. You can find links to them at the ends of the ones posted below. The 2nd link below is more an overview on riding and life. Quite good too I thought, but his riding videos are THE BEST I’VE SEEN. Doing trails riding (very badly) really helped me back when I was competing in AMA Enduro. Made it SO MUCH easier, I learned so much. And as you’ve discovered … it’s all better when learned on a small, light weight bike. Good luck with your continued training and progress … and hopefully more travel.